This infographic can be downloaded for free in JPG format (289 KB) by clicking on the image or the "Download Original" link. A high resolution PDF version (610 KB) of this infographic is also available upon request. When requesting, please let us know how you intend to use the infographic. This infographic is also available in Spanish: Tiempo Sedentario. 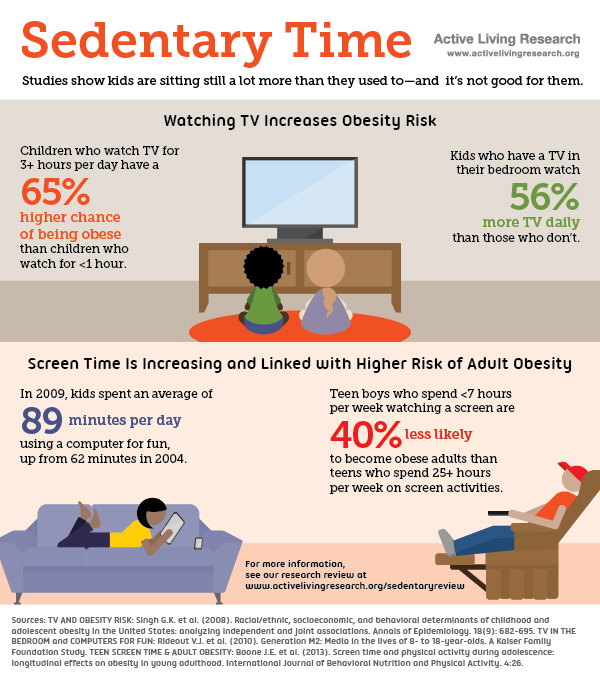 This inforgraphic will be used for research on a paper about obesity in youth and how it recreation can improve quality of life.